Thank you Old National Bank Foundation! 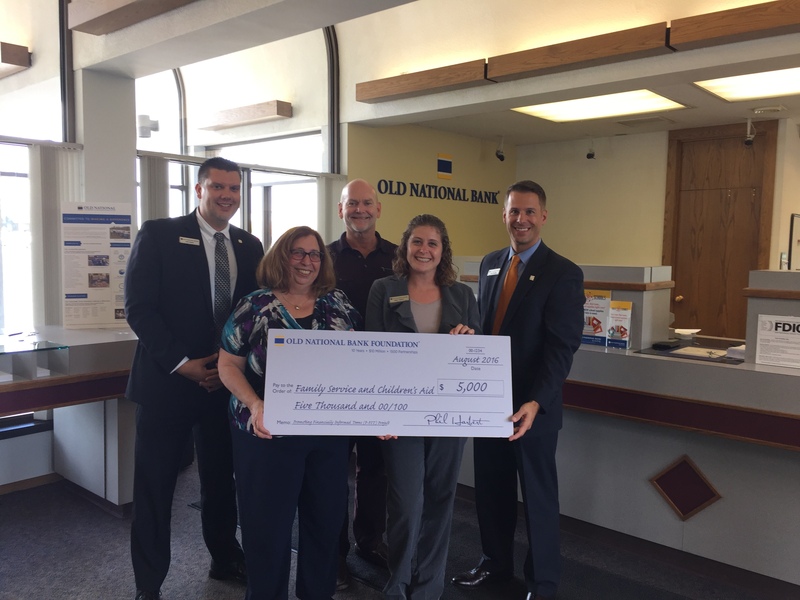 The Old National Bank Foundation is proud to support Family Service and Children’s Aid for the Promoting Financially Informed Teens (P-FIT) Project initiative in the amount of $5,000.00. This will be utilized through the J.U.M.P. (Just Understand My Potential) program! Thank you Old National Bank Foundation! ← Stay Connected with FSCA!